In 1860, Alfred Sommier and his father who were entrepreneurial sugar refiners, had built their “hotel particulier” in la Madeleine district. They wanted to settle their family and to entertain, in a mansion corresponding to the prosperity of their business. 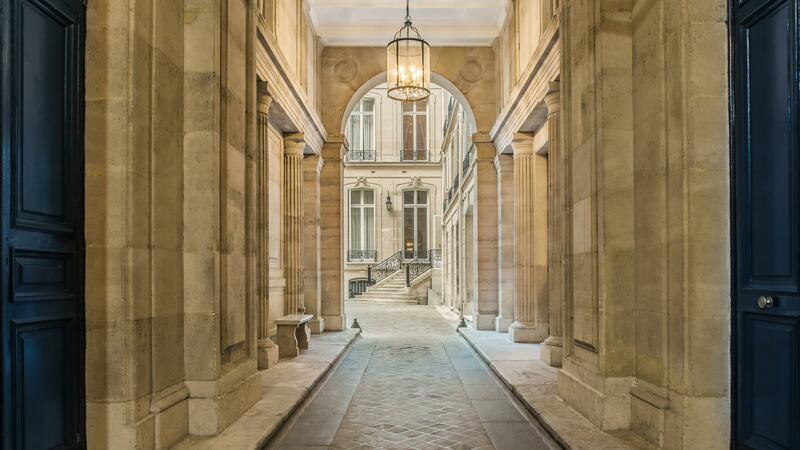 Well preserved, Alfred Sommier’s “hotel particulier” has now been transformed by one of the descendants of the family into a luxurious hotel which keeps the soul of the family mansion. This luxurious hotel, located 100 m from la Madeleine in a peaceful environment, offers an authentic setting none to second in Paris. From the entrance porch, you step into the intimacy of a 19th century mansion with courtyard and garden. You feel welcomed as a family guest. The marble fireplaces, the gilded mirrors and the oak flooring harmonize with the paintings and the contemporary furniture created for the hotel. The luminosity, the calm, the views and the modern artistic creations in our 80 rooms and suites, are striking. The high ceilings are impressive. On the top floor, one can enjoy charming views over Parisian rooftops and monuments. Wooden floors, marble fireplaces and stucco cornices are complemented with exclusive furniture. In the marble bathrooms, Guerlain amenities highlight the French elegance of the hotel. Breakfast, lunch and dinner are served in the “Caryatids” large dining room and under its canopy, as well as in the Louis XV salon. The restaurant can also be extended into the garden and onto the terraces if the weather permits. The bar, located in the former smoking room, also opens on the garden. The five meeting rooms, bathed in natural daylight, host private receptions, business meals and seminars providing cutting-edge communications.